Eamonn Wall possesses a bright eye for detail - a preacher on a plaza in New Mexico, a juke box in a Courtown café, the arrangement of objects in a window in Co. Sligo, pine needles covered in snow in South Dakota - and it is frequently from these visual images that the poems in his fourth collection take flight. More than anything else, Refuge at De Soto Bend celebrates the joys and heartaches of time spent intensely in the light. 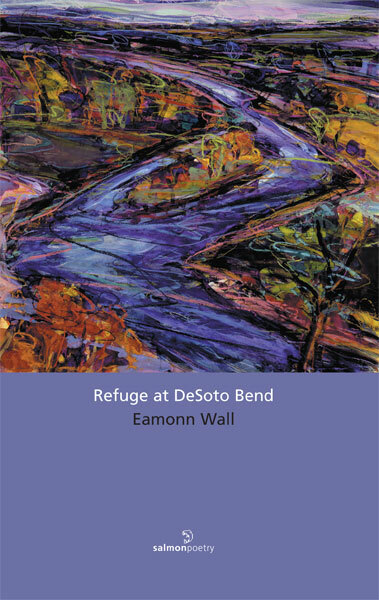 One of the many striking themes in this collection, and in much of Eamonn Wall's acclaimed work, is migration and the search for material and emotional shelter and refuge in unfamiliar locations. In "The Wexford Container Tragedy," both refugees and locals grieve and seek to come to terms with a new world born out of tragedy. Eamonn Wall, himself an emigrant, recasts the Irish experience of emigration in the light of a new phenomenon: emigration to Ireland. Here is a poet in tune with origins, dislocations, and the quiet moments that crave for description. 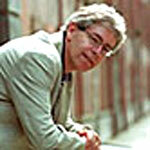 Eamonn Wall observes and describes a complex world. He listens and records for us some of the resonant truths this bright life reveals about nature, family, memory, hunger, and public and private life in contemporary Ireland and America. He made his way by brown ditches. A narrow road widened to a square. The bridge held him to the town. change. The sun went behind clouds. purple 'n gold-he owned the streets. had dripped through the chestnuts. young bucks jostling towards the bar. What job he held? What car he drove? gravel in new, pebble-dashed sunlight. In time, row houses took over the fields. The old bridge held him to the town.